Hunger Pangs | This is Water. This is Water. Let me predicate this by saying I don’t get out much lately. 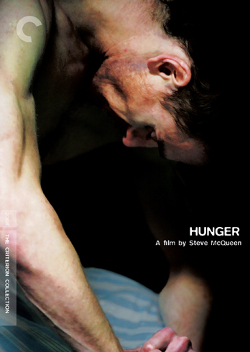 I like Hunger in a detached film critic way. I appreciate the Lucien Freud visual homages mixed with the Kafka story references. Toss in the postmodern Papillion quotes due to our director’s namesake and you have a work that is just made for people like me- i.e. English lit film geeks. On the other hand I’m 42 and a dad so I’m a little more engaged with the world than I was 20 years ago (and more than I’d like to be at times) so reducing Bobby Sands’ hunger strike to pretty arty imagery and literary name checks strikes me as being somewhat dishonest. It’s almost like the art film version of Schindler’s list. Still McQueen and Fassbender are a duo that deserve to be watched for possible greatness to come. And I haven’t seen Shame yet so who knows if they are on the way to their Mean Streets? damn, that’s stone cold brilliant, tom.